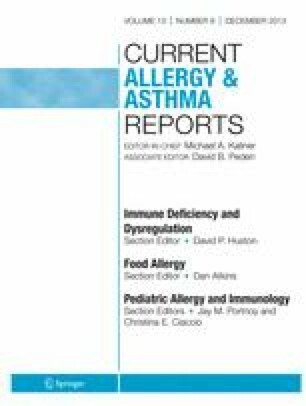 Food Allergy and Quality of Life: What Have We Learned? Health-related quality of life (HRQL) has become an emerging focus of interest in food allergy. Food allergy is a disease characterized by low mortality and symptoms which only occur during an allergic reaction. However, food-allergic patients continuously need to be alert when eating in order to prevent potentially severe allergic reactions, which may be fatal. Fear of such reactions and the need to be continuously vigilant may seriously compromise their HRQL. During the last decade, numerous studies have been published on food allergy and HRQL. The development of reliable, valid and responsive instruments for measuring HRQL in food allergic patients has facilitated this research even further. Such instruments have given insight into the specific problems a patient may face and the impact of food allergy-related interventions from the patient’s perspective. This paper focuses on the most significant findings regarding this topic since its first appearance in the literature in 2000. Jantina L.van der Velde, Anthony E.J. Dubois, and Bertine M.J. Flokstra-de Blok declare that they have no conflict of interest. This article does not contain any studies with animal subjects performed by any of the authors. With regard to the authors’ research cited in this paper, all procedures were followed in accordance with the ethical standards of the responsible committee on human experimentation and with the Helsinki Declaration of 1975, as revised in 2000 and 2008. World Health Organization. Process of translation and adaptation of instruments. http://www.who.int/substance_abuse/research_tools/translation/en/. In: 2008.